Isle of Arran distillery has launched a 21-year-old expression as the latest – and oldest – addition to its core range. The 21-year-old is said to be ‘rich and sweet with initial flavours of dark chocolate’ before providing notes of ‘soft spices and figs’ on the finish. The whisky is matured in a combination of ex-Bourbon and ex-Sherry casks, and bottled at 46% abv. James MacTaggart, master distiller at Isle of Arran Distillers, said: ‘We’re extremely proud to have produced a dram that showcases our traditional Arran style, while the extended maturation process adds an extra elegance and complexity. Priced at around £115, only 9,000 bottles of the 21-year-old will be available worldwide as a ‘finite batch’, with the next batch due to be released in autumn/winter 2019. Isle of Arran Distillers’ Lagg distillery is its second site on the island, and is expected to open its doors in 2019. 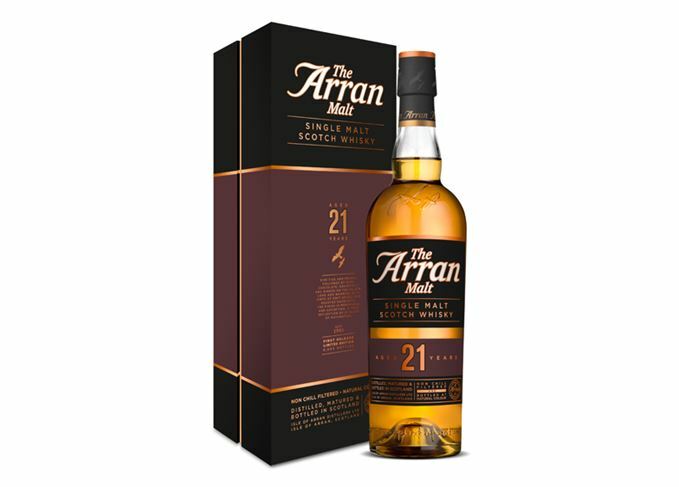 The 20-year-old single malt is the first in a range of whiskies paying homage to Arran’s landscape. The Exciseman is the last of the three releases celebrating Arran’s whisky heritage. Limited edition single malt whisky aims to celebrate Arran’s illicit whisky-making past. Limited edition single malt whisky celebrates James MacTaggart’s 10 years at Arran. Isle of Arran Distillers has confirmed plans to build a second distillery on the Scottish island.